stanleyrumm.com | This is not a blog. This is a Non-Blog. 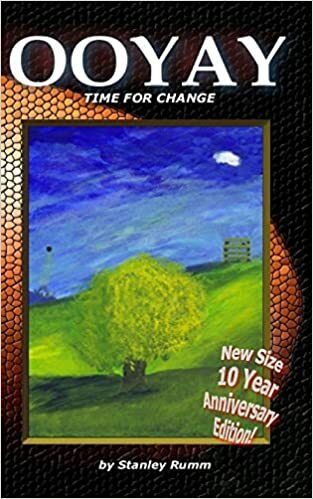 New Size 10 Year Anniversary Edition of OOYAY now available on Amazon! …Or find it on any other Amazon site! What can I say? It’s a slice of Ireland. It’s a great book. Full of humour and death and at least one great Irish pub. Inception -what is it all about really? Marion Cotillard’s character in Inception insists Leonardo is in a dream and seeks to prove it, constantly questioning his reality, calling on him to “wake up”. When they enter dreams, the “kicker” that’s used to pull people from their dreams is Je Ne Regret Rien, by Edith Piaf -as played by Marion Cotillard in La Vie En Rose just before making Inception. Why else would this (of all songs) be the chosen song? It’s layers within layers, etc. and the last one is outside the movie, where Cotillard is singing to Leonardo/ the audience, calling for a wake up. The soundtrack itself, with the blaring trumpets is from Je Ne Regret Rien, slowed down “a lot” -because time slows the deeper you go in dreams. The spinning top asks the audience to question their own reality -not that of the story. LOOPER -WHAT IS THAT ALL ABOUT THEN? More Religion in Schools Now! I believe there is not enough religion in National Schools. In fact isn’t it ridiculous that primary schools in Ireland are for the most part limited to just one? Rather than abolishing all religions wouldn’t it be great if kids were taught about all religions -or at least the bigger ones: Catholic, Protestant, Hindu, Muslim, Jewish, Buddism -I’m sure there are other biggies slipping my mind at the moment. Also included should be Atheism for an all-round healthy debate on which one (or none) a child might prefer. I would strongly argue also for the inclusion of ancient beliefs such as Greek, Norse, Egyptian deities. There are many fine stories if nothing else in all of these religions and there is certainly something to be learnt by everyone from each. Nobody could have a cause for complaint on this surely, since of course (given a choice) all kids would obviously gravitate towards “The One True Religion”. So, whichever one that is for you, you can be happy you have nothing to fear by allowing your child learn what those false/ less-true ones are all about. Kicking religion out of schools entirely only encourages sectarianism and fanatacism as various groups huddle together in each corner shouting for their voice to be heard. By all means feel free to have Sunday schools, temple meet-ups, whatever-you’re-having-yourself too, but why should national schools exclude so many other belief systems? Contact your local and national representatives TODAY and let them know you no longer wish your child to grow up ignorant of the world’s belief systems. If nothing else it would give kids an insight into what the big boys and girls are fighting about all the time. Foxcatcher -a review -no spoilers! I went to see Foxcatcher earlier without knowing anything about it beforehand, other than it had Steve Carrell in a “serious role” and it was something to do with wrestling (the olympic kind, not like the WWF). I can’t say I was bored. I spent around two hours watching, thinking “if this ends well it could be an excellent film”, but really I hadn’t a clue what it was about even as I was watching -which kind of kept it interesting throughout. Steve Carrell is almost unrecognisable, under a prosthetic nose. The only way you would know it was him in fact is by the voice and also he looks almost exactly like the “Gru” character he plays in Despicable Me. If you knew what this film was about beforehand you might well be driven mad because boy does it take a long time to get to the point. Most characters barely talk and there’s little clue as to what they are thinking. There’s the odd piano-tinkle to emphasise the dramatic moments, but mostly it’s silent -or would have been if it wasn’t for the howling wind outside The Gate cinema, Midleton, Cork. In fact I wasn’t sure for 2 hours if the wind was a sound effect or an added bonus -better than 3D! So what did I really think? …There’s a complicated set of relationships at play here. The film does a good job of “showing not telling”, which is always a sign of class in my opinion. The problem is, by the end <more shots of barely-anything-onscreen go here> I didn’t really feel like I had witnessed anything worthwhile -or at least anything that I felt warranted a whole film. I saw Birdman last week. In that, people didn’t shut up talking and talking and shouting and talking and expressing aloud their inner souls. In Foxcatcher nobody says nuffin and then something almost inexpicable happens and then it’s over. Add some mundane shots and overlong scenes where everyone forgot the camera was still rolling and you have an almost-certain Oscar contender! …Watching it like as if it’s a “Whodunnit”, but instead a “WhatsHappenin?” I found it did hold my interest throughout <here are some olympic athletes jogging through a woodland. Silently. In sunshine>, but overall it’s not a film I could recommend to anyone and I can’t see myself watching it again. A little bit too “worthy” for my liking, although it’s certainly very competently made. (highlight the text between the dots if you’d like to read further -it’s not really a spoiler as such, but some more info is given here on the Foxcatcher plot itself). I guess the point of the film is it says something about loneliness and massive wealth -and how massive wealth and power can be its own corruption. Ultimately though, if there wasn’t a murder in there somewhere there would be no movie. That in itself is not a good enough reason to make or see a movie in my opinion. I find it amazing that someone was given a massive budget to make this movie. Where it went I don’t know. Quite simply it is manipulative, tell-don’t-show, pretentious cinema at its overblown worst -unseen since the late seventies/ early eighties. It’s kind of mesmerisingly bad in some ways -compulsive viewing if only to witness the trappings of someone at the helm who has nobody to politely ask him to stop. It’s difficult to know what’s going on most of the time -partly because the plot goes on a trek around a blackhole in order to not show itself (I say show instead of reveal, because it’s not that it’s deliberately unwilling to show its hand, but rather unable to effectively portray what little substance there is at all) -but also in a more ‘intimate’ sense, nothing is actually shown onscreen. Instead we hear people spouting while we see someone else looking at or doing something else. And unlike in, say, Inception (which I did enjoy quite a bit) mostly what is being said here isn’t so much exposition as it is orbital distraction. All too often it’s impossible to tell who is talking or why -and frequently- what they are saying. There’s a fairly pathetic-looking robot for instance who seems to have some interesting characteristics -not least of which is his humour setting. But most of what he says is said when he is not on the screen, so it’s hard to even be aware that he is the one who is saying it. I believe there is a second robot later on who is on-screen for even less time, so again confusion ensues for no reason other than “this is a mess -here you unscramble it”. I do like a lot of the sound and score, but other sometimes-considered-somewhat-crucial noises such as dialogue seem to be treated with contempt. Perhaps it was the cinema in which I saw it, but who is saying what to whom, why and “what is this person crying about again?” were foremost in my mind for the 2hours 50minutes of its length. The most annoying thing about the movie was (no spoilers) when one character is crying that she must rescue the data as an enormous tidal wave is about to say hello. That to me is where it lost me. I was willing to go with it up until then, but that lost me. The same ultra-important data is then quickly forgotten (as is the resulting death due to incompetence) as she has a cry afterwards about how maybe Love is the missing dimension (or something). That washed it all further away for me, well out to sea. Besides that, for its near-3hour running time, all the characters are nothing more than names, never really fleshed out. 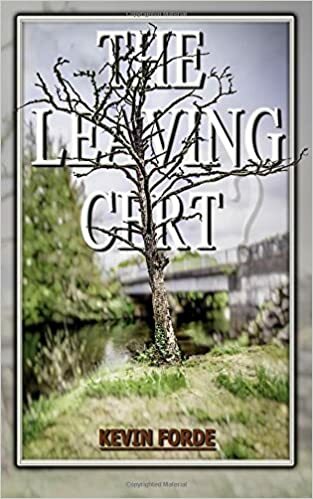 There needs to be some kind of emotional involvement between the protagonists and the audience, but instead it settled for a manipulative father/daughter tear-jerker as an over-long single back-story, leaving everything and every one else’s motivations and emotions as nothing more than plot contrivances and twists. To be upbeat, my favourite thing about this movie (apart from the soundtrack) is when they meet “Dr. Mann”. That works in itself, but when you try to relate that to the character’s back-story (that we are TOLD about, not shown) it doesn’t gel. You could argue he is thinking of “the human race” without any selfish emotion, but what we see on screen has almost no bearing on what has been said about him. Again maybe he has changed due to his isolation? I don’t buy that -or at least a lot more work would have to be done to convince me of that. I’m more than happy to do some work to buy into a good movie or story, but for me Interstellar is a shallow, Pretentious, over-blown, drippy folly and I am sorry to have to say that because I think Christopher Nolan has/ did have great potential. After this I doubt very much he’ll be able to get back on track. Emperor’s New Clothes comes to mind. Overall: Nice, if average, Twilight Zone episode if it was 25 minutes long. This for me is film of the year so far (2014 that is). I knew little or nothing about it beforehand and I believe this helped it deliver the shock-value crucial to its enjoyment. Gyllenhall stars as possibly cinema’s finest psychopath. It’s never overplayed, but clearly Lou Bloom is the personification of a US Corporation. His impersonal, upfront, cards-on-the-table, not-unlikeable, goal-driven, amoral behaviour is as alien as it is endemic in human nature. He is willing to do whatever it takes to be successful in whatever field he finds for himself -the choice of field is almost irrelevant, but having chosen, each of its rules and applicable laws are merely obstacles to be overcome in his rise to the top. He isn’t a horrible person, which makes the film more perverse. His actions are at all times merely the logical extension of his stated, natural, praise-worthy goals. There’s no arguing with his logic, which has him facing in one direction only at all times. If you’re able to ride this upward wave you’re more than welcome to your share of the success, but woe-betide the person who’s human frailties can’t keep pace with the stated aims. If Corporate America was a person it would be Lou Bloom -or your money back. There is quite a bit to like about Gone Girl, however I don’t believe David Fincher can direct women very well (at least his portrayal of women in general leaves a lot to be desired) and the movie lacks the razor edge that would allow it to land that violent slash across the throat of modern media that it seems to be stretching for. Instead it scrambles around a half-interesting Hitchcockian missing-person tale before moving on to take less-focused stabs at the media and women in general. Quite good. Not good enough.